Thermal Labels, 2" x 1" Thermal transfer polyester asset label. Single roll. Thermal Labels, 2" x 0.75" Thermal transfer polyester void removeable label. Single roll. Thermal Labels, 4" x 2" Direct thermal paper label. 4 roll case. Thermal Labels, 4" x 3" Direct thermal paper label. 4 roll case. Thermal Labels, 4" x 6" Direct thermal paper label. 4 roll case. 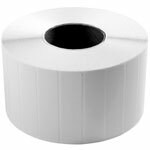 Thermal Labels, 2.25" x 1.25" Direct thermal paper label. 4 roll case. Thermal Labels, 2" x 1" Thermal transfer kimdura label. Single roll. 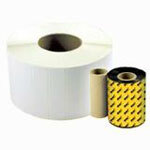 Thermal Labels, 1.5" x 1" Direct thermal paper label. 4 roll case. Thermal Labels, 4" x 3" Thermal transfer paper label. 4 roll case. Thermal Labels, 3.5" x 1" Thermal transfer paper label. 4 roll case. Thermal Labels, 2.1875" x .5 Thermal transfer poly jewelry label. Thermal Labels, 4" x 2" Direct thermal paper label. 12 roll case. Thermal Labels, 3.5" x 1" Direct thermal paper label. 12 roll case. Thermal Labels, 2.25" x 1.25" Direct thermal paper label. 12 roll case.